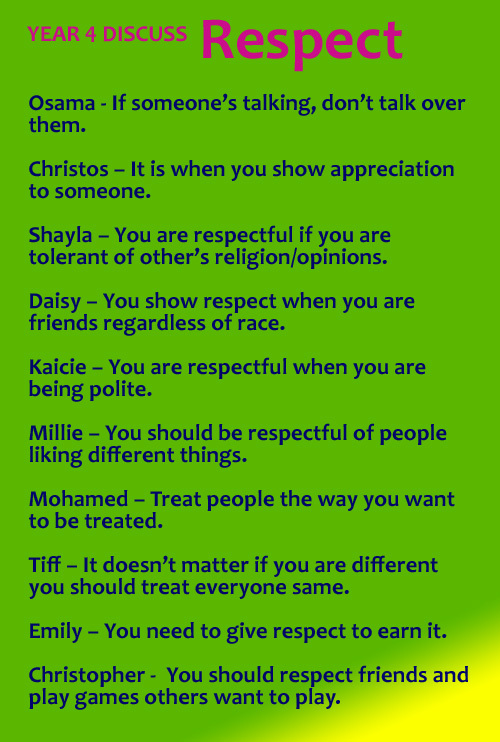 Year 4 have been discussing this month’s values word – Respect. You can read some of their comments on the blogs. It is great to read about all the different ways that they found to show and give respect. There was respect for others, including adults and friends. What was wonderful to read as well was their understanding of the respect we should show people regardless of their faith or race and the acknowledgement of people’s rights to live their lives how they wish.